Electrical box (alternative current) for photovoltaic protection. Cabinet includes the wiring diagram. Required for each photovoltaic system. 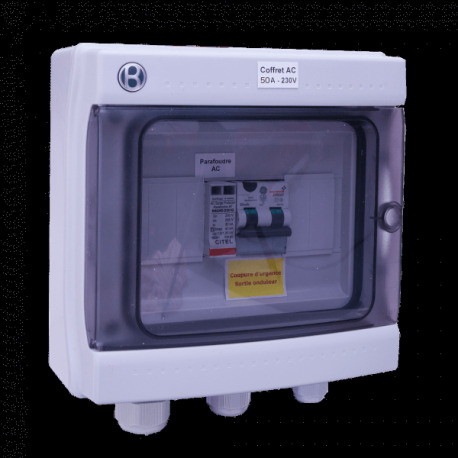 AC box 230 V AC single-phase up to 10 kW with differential circuit breaker 50 A - 30 mA + surge arrester type A.